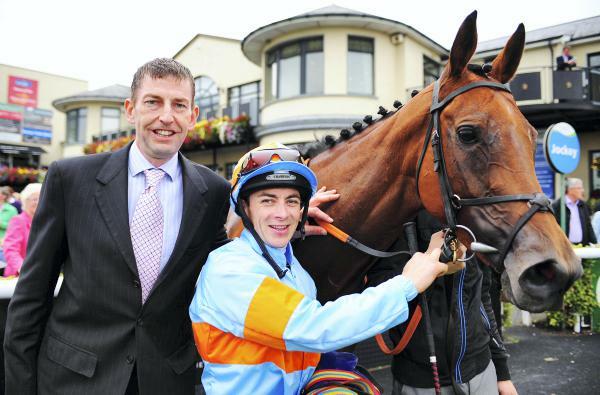 Chris Jones (right), owner of Growse Champion Novice Chase winner Zabina and Gavin Cromwell, trainer of Tattersalls Novice Hurdle winner Jer's Girl. Photo HEALY RACING. 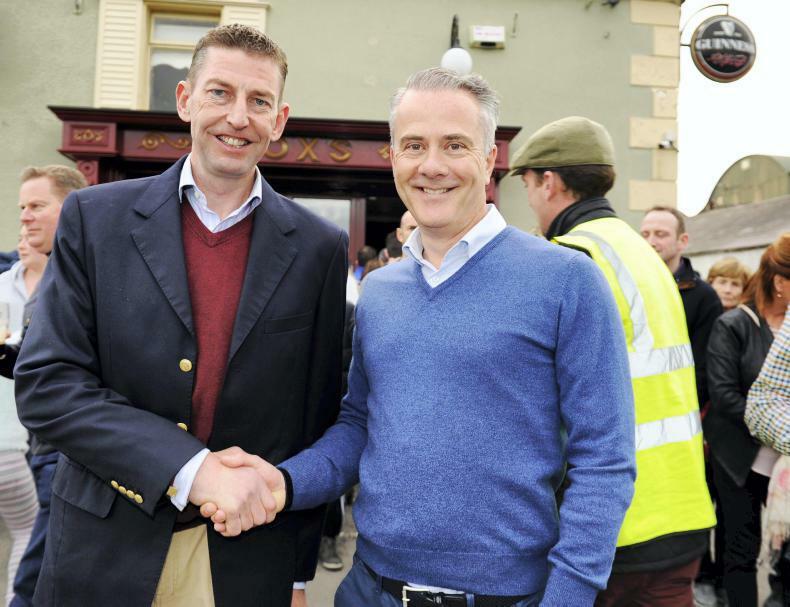 WE all want to see our friends prosper and Gavin Cromwell has been friendly with Gordon Elliott most of his life. Still, when Apple’s Jade pulverised a field that included Supasundae and Melon to win the Irish Champion Hurdle on Saturday, and news emerged the following morning that the Champion Hurdle rather than the Mares’ equivalent was now the likely route for the Gigginstown seven-year-old, you could forgive the Danestown contingent if they weren’t getting the party poppers out. The only failure was in the Spring Juvenile Hurdle 12 months ago, when the son of Voix Du Nord suffered a setback that brought that campaign to an end. He hasn’t missed a beat since returning from his recuperative spell at McManus’s Martinstown Stud, putting a total of 19 lengths on Mr Adjudicator and Stormy Ireland in successive victories before easily accounting for Wicklow Brave and Tombstone in the Grade 3 Limestone Lad Hurdle at Naas a fortnight ago. A new level of form would have to be found to win the Champion Hurdle, but they are a long way from the bottom of the well yet. The trainer is hopeful, but the task got considerably harder last weekend. “Apple’s Jade is now into the picture, which wasn’t exactly music to my ears,” says Cromwell ruefully. “I’ve always been a big fan of hers. 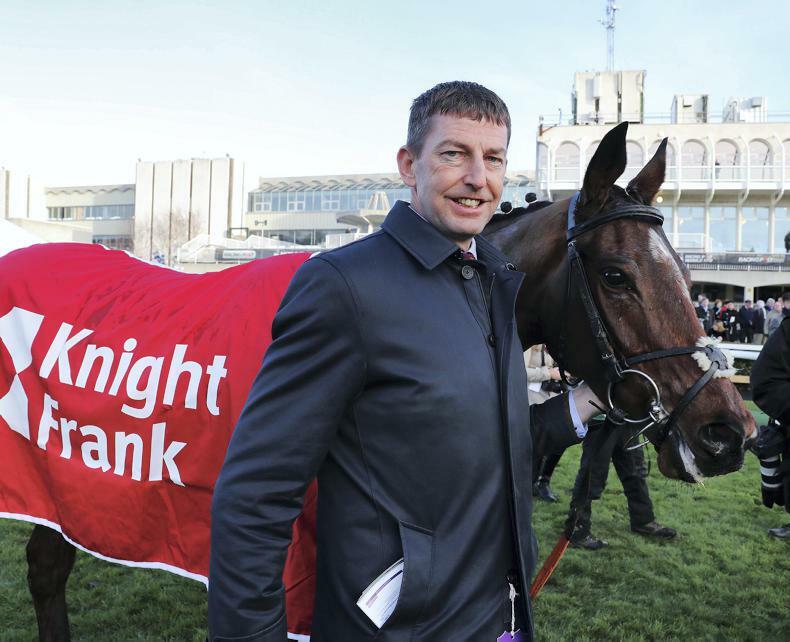 She beat Jer’s Girl in the Knight Frank Hurdle at Leopardstown at Christmas by a head (in 2015). That day, everyone was saying the juveniles in Ireland were poor enough that year. Footpad was eight lengths back in third. It turned out to be a right good race with a stack of Grade 1 winners. It is the type of issue Cromwell did not think he might ever have to consider. He is a Grade 1-winning handler now, with a Welsh Grand National over jumps and the Group 2 Prix de Royallieu on the flat prominent in a burgeoning CV. He is leading the chasing pack on the championship table outside Irish jump racing’s ‘big six’ with almost double his previous best tally of winners already (27) and by far and away his best accumulation of prize money (€360,388). His talents have taken him to the Cheltenham Festival and the Breeders’ Cup. But it has been a slow burn. For a long time, it seemed likely that the nearest he would get to A-list horses would be through his profession as a farrier. Naturally, Elliott was a client and Gold Cup hero Don Cossack just one of the stars whose podiatry needs he attended to. Circumstances dictated that he source horses on the cheap and over time, it became evident that he could help them perform better. Necessity meant he could not afford to concentrate on one particular code. He may be quiet-spoken and not extravagant with his use of words but herein lies the secret. The very best trainers have that inner drive. They yearn for big-time success but will go anywhere for any type of winner. Stores, point-to-pointers, two-year-olds – he is not going to tie himself down. He has around 45 in the string at the moment and is building some more stables so he can add to that. Interestingly, there is no upper limit in his mind if the growth were to continue. Jer’s Girl is chilling out at Martinstown these days, having met with a setback in training and no concrete plans have been made about her future. She will always feature prominently in the Cromwell story. Luckily for owner-breeder Eugene Bourke, the trainer was patient and allowed his filly to develop physically. 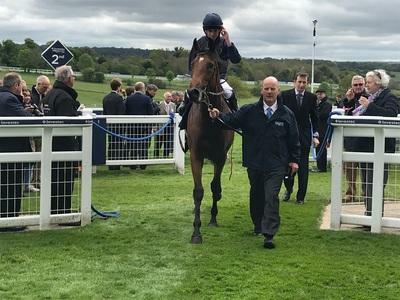 When she followed up her bloodless maiden hurdle win at three in Limerick with a 10-length procession in a listed contest at Aintree that December, they knew they had a horse on their hands. Then came the clash with Apple’s Jade and though she disappointed behind Footpad back at Leopardstown in February, McManus and his right-hand man Frank Berry had seen enough. They bought Jer’s Girl two days before she was scheduled to run in a Grade 1 mares’ novice hurdle at Fairyhouse, Cromwell shrewdly having opted to spare her the rigours of Cheltenham. 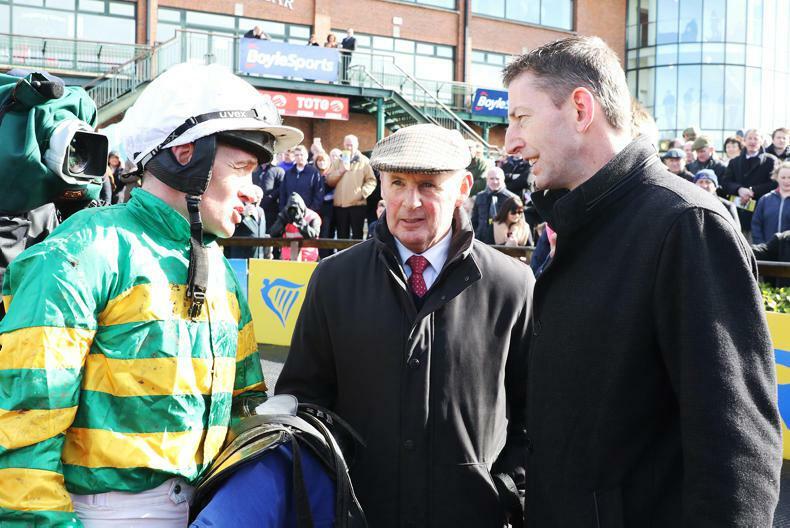 Barry Geraghty donned the green and gold as she romped to a 13-length triumph. Talent needs opportunity and when the opportunity presents itself, you must deliver. 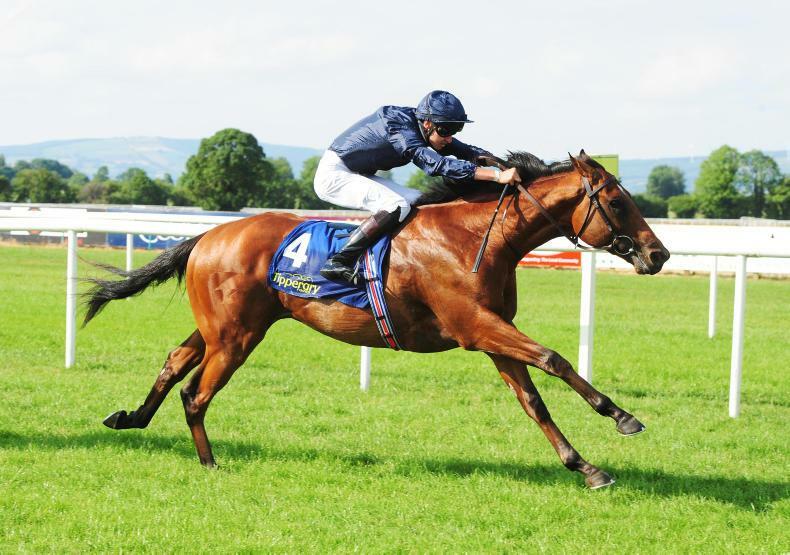 Balrath Hope won the Ulster Oaks in 2012 and two years later, Sretaw bagged the Irish Cambridgeshire at the Curragh. Elusive Ivy and Mallards In Flight secured significant prizes too. This was a different level though and McManus, as is his wont, rewarded success with increased patronage. Enter Espoir D’Allen. Those colours and that calibre of horse brings increased attention but Cromwell doesn’t think too much about it. 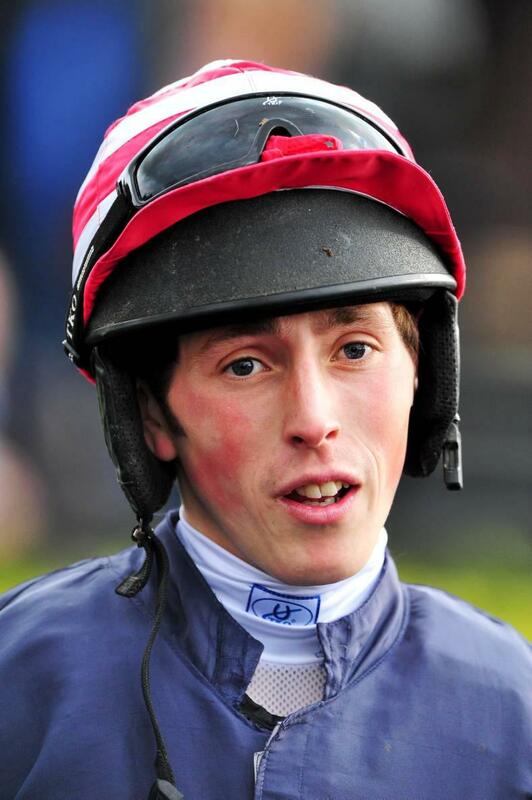 It was evident though in the post-race interview after Espoir D’Allen had passed his Cheltenham dress rehearsal that he had been feeling it a little, admitting to absolute relief that the job was done. “Ah yeah, that’s it. You try and not put yourself under pressure but it’s part and parcel of it at times. The thing to do is not to dwell on things. On to the next one. 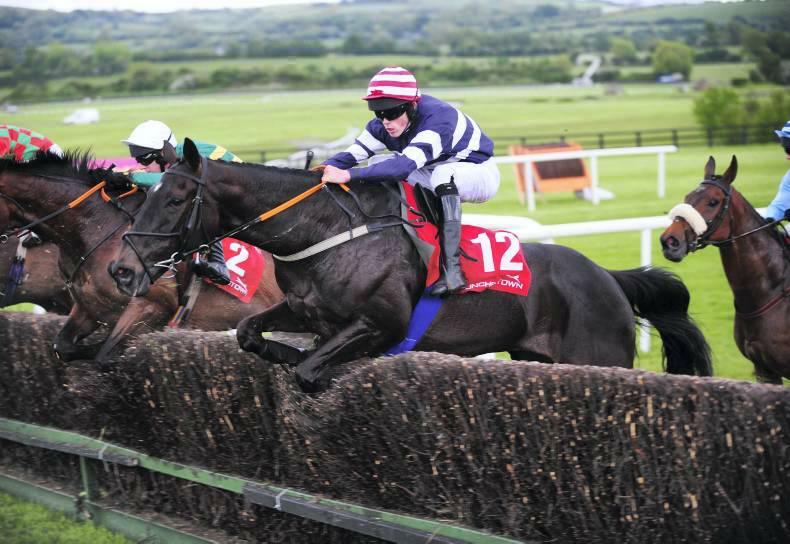 Raz De Maree, the grand old man of the place, is slated for a shot at Punchestown’s Grand National Trial tomorrow, ground conditions permitting. His Chepstow triumph in 2017 is an obvious career highlight. Political Policy is another who might get an extra carrot, the all-weather king who though only eight, feels like he has been around forever. He won eight times at Dundalk before getting off the mark over turf and last summer, added another string to his bow when getting off to a successful start over hurdles, winning twice. This duo are in truth, the family pets for wife Kiva, and their three children Jake (seven), Sophie (five), Cameron (four). 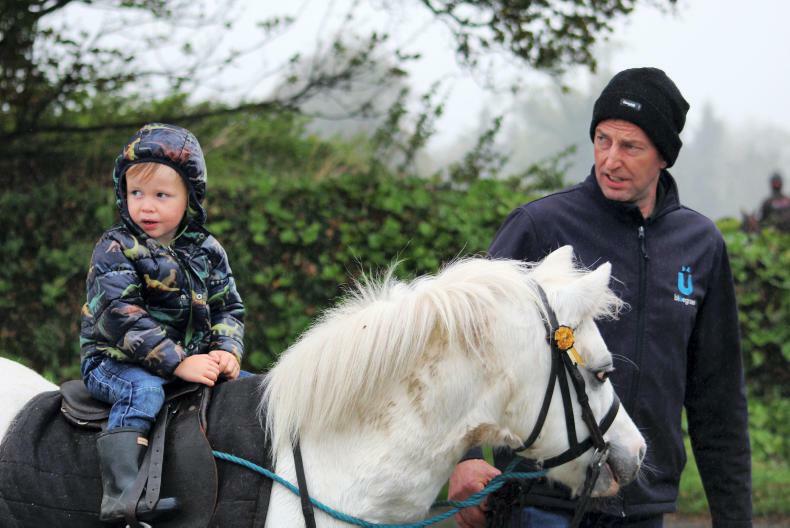 Indeed, aspiring jockey Jake often rides one or other of them back from the gallop. 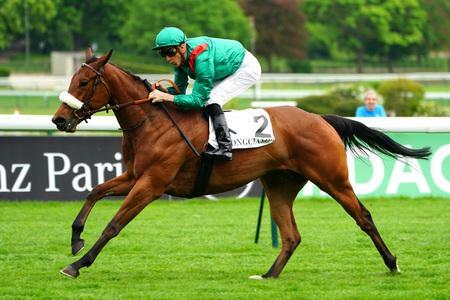 Princess Yaiza’s glorious Longchamp success on Arc weekend proved Cromwell’s mastery when it comes to placing his charges, no matter what the discipline. “I couldn’t believe there were only six runners in the race and I thought we’d a serious chance of getting placed in a Group 2. I didn’t think she was good enough to win it so it was brilliant. I couldn’t have been happier with her. She got through the trip across and the preliminaries no problem, her prep right up to the race was great, she was really coming to herself them last few weeks before. I was very hopeful of a big run but to go and win it was amazing. 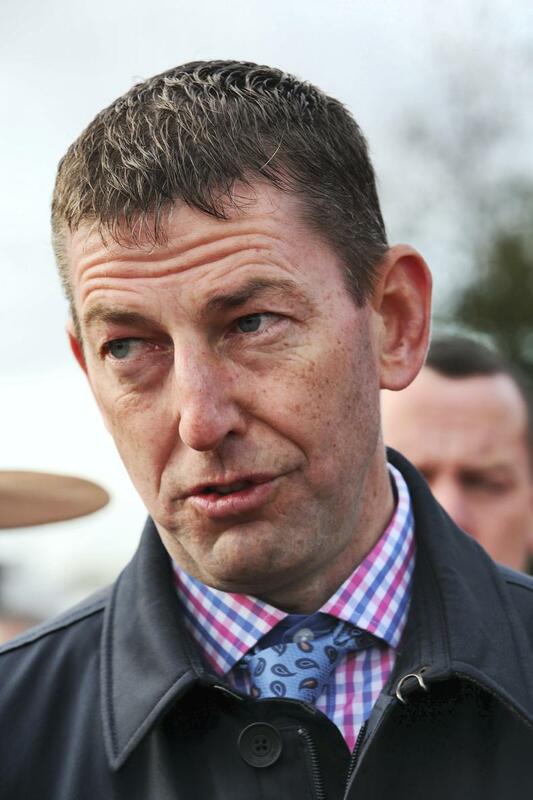 Meanwhile, Laroche has directed him to buy another horse for him to race in Ireland, and somewhere along the line, he has become a full-time trainer. As recently as 2016, he was saying he would never pack in being a farrier. He liked the idea of having a safety net. It is still there, in the sense that the business continues, though he has had to pass on some of his clients to other farriers. But it’s been a while since he put a shoe on a horse himself. “I went from working as a farrier five days a week, to leaving the yard at nine in the morning to go shoeing. Then it was 10, then it was 11, then it was lunchtime. Then it wasn’t every day. It just became a case of not having enough time to shoe. There wasn’t a time I decided. It just happened.